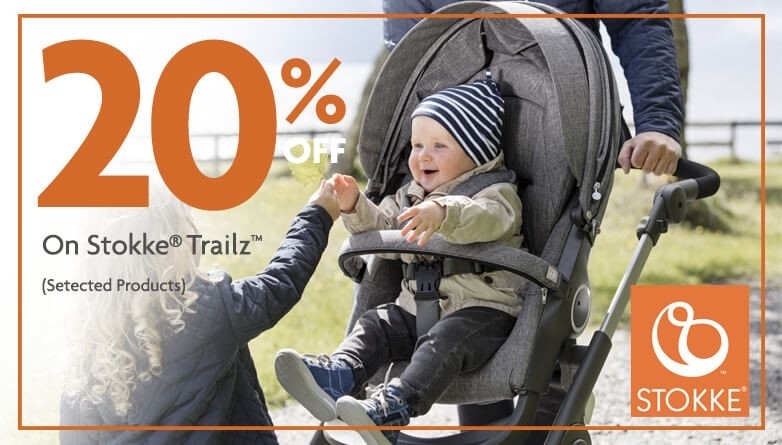 SAVE UP TO 40% OFF STOKKE PRODUCTS THIS BLACK FRIDAY THROUGH MONDAY! The Tripp Trapp Baby Set is made specifically for the Tripp Trapp. It is made up of a plastic material that is recyclable and safe for children. Stokke Flexi Bath is a foldable baby bath suitable from birth to four years. The space saving design makes it easy to store and convenient to use at home or when travelling, encouraging more shared bath time moments. The innovative height optimizes eye contact and bonding between parent and baby, and toddlers enjoy a more interesting panoramic view. Stokke Crusi lifts your child closer to you helping you explore together. The Stokke Scoot stroller is a high compact stroller to bring you closer.